We live in a world surrounded by social media. Those who perpetrate animal abuse are all too eager to share information on numerous social media sites. The trained investigator should include this information as part of their case file. Probable cause of a crime can be obtained by utilizing social media. Photographs, videos, geotags, affiliates, and co-conspirators are readily available utilizing many social media sites. Utilizing this information, law enforcement and animal control are poised to step inside the world of a perpetrator in ways never thought possible. This presentation will illustrate the use of social media in the investigation of an animal fighting investigation that took place in Defuniak Springs, FL in May of 2015. 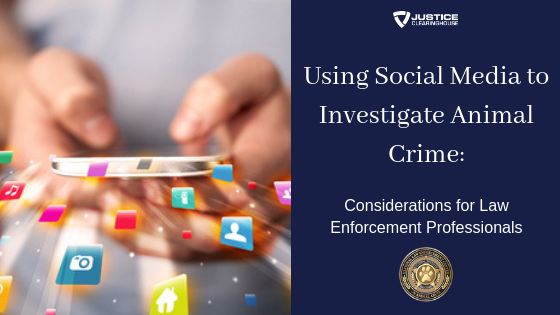 This case example will cover the cultivation of probable cause using social media posts and end with the review of the scene response by law enforcement and the ASPCA. This case highlights also highlights the importance of public-private partnerships between law enforcement and non-governmental organizations.